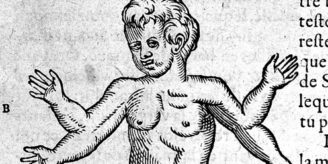 The Great Plague that afflicted London 350 years ago (1665–66) had a dramatic impact on the city, killing up to 100,000 people of a population that then numbered about 460,000. There was a plethora of printed responses to this plague outbreak, with at least 46 pamphlets and books relating to plague being published between 1665 and 1666. These publications reflect the great anxiety of Londoners at this time, as they sought information about the level of mortality and advice about how to avoid or combat the infection. Works on plague printed at this time were often small and unadorned: they were meant to be portable and easily passed from one reader to another, to facilitate the rapid dissemination of information. Since their contents were only of passing relevance, soon being replaced with more up-to-date statistics and advice, these works were often discarded, meaning that some survive in very few copies today. The Wellcome Library holds a copy of one plague publication of 1665 that is, as far as we know, the only surviving copy of this work. 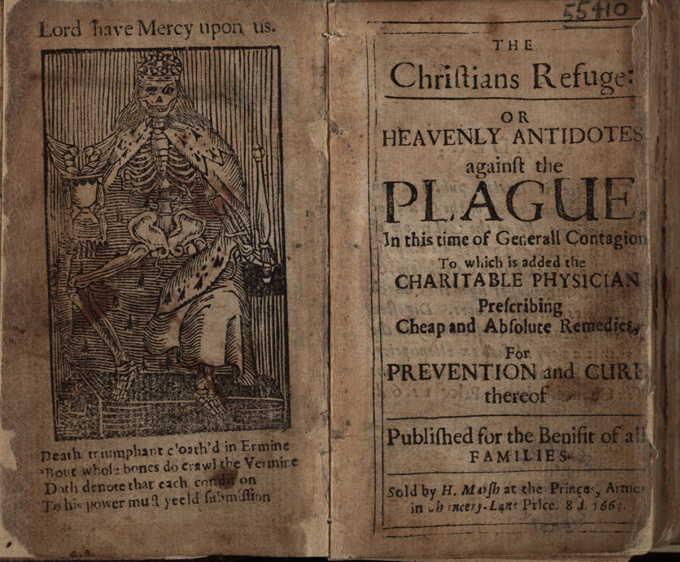 Titled ‘The Christians Refuge: or heavenly antidotes against the plague In this time of Generall Contagion’, it is authored by ‘W.W.’, and contains spiritual remedies to combat plague, statistics of mortality, medical recipes, and other material. The volume is very small (9 cm wide and 11.3 cm tall), and the worn condition of the paper leaves suggests that it has been heavily read. Frontispiece and title-page of EPB/53190/A: The Christians Refuge: or heavenly antidotes against the plague In this time of Generall Contagion ([London]: Sold by H. Marsh at the Princes, Armes in Chancery-Lane, 1665). Wellcome Images L0064305. In an article published in the journal Medical History in 2011, Kathleen Miller identified the tract’s author as the biographer and humorous writer William Winstanley (d. 1698). Certain of Winstanley’s other works were published anonymously or pseudonymously, supporting the case for his authorship of ‘The Christians Refuge’. He had not previously composed a plague tract, suggesting that the crisis of 1665 presented him with an opportunity to work within a different literary genre. Much of the volume reflects upon death and discusses spiritual matters. 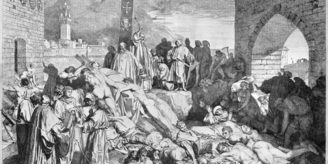 Indeed, from the Black Death onwards, plague was frequently attributed to divine intervention, meaning that God’s protection and mercy were sought during plague outbreaks. In addition, since death was inevitable for many people at such moments, Christians needed to focus on preparing their souls for the world to come. The final section, however, ‘Receits against the Plague’, proposes a more practical approach, listing a number of natural remedies to combat pestilence. For example, to protect himself or herself the reader is instructed to: ‘Take the Topes of Rue a Garlick-head, or half a quarter of a Walnut, and a corn of Salt, eat this every morning continuing so a moneth together, this is also good against the worms in young and old.’ This section of recipes may reflect the increased presence overall of ideas about the natural world in the plague writing of 1665–66. Nonetheless, the section opens with the warning: ‘yet trust not so much in the Physick [the practice of medicine] as in the blessing of God, without which all physick is uneffectuall’. The frontispiece is the most striking page of ‘The Christians Refuge’. It shows a figure of a skeleton fitted out with royal attributes – an ermine cloak, a crown and a sceptre. The skeleton also holds an hour glass and there are worms crawling on its bones. The four lines of verse below the skeleton read: ‘Death triumphant cloth’d in Ermine/ ’Bout whose bones do crawl the Vermine/ Doth denote that each condition/ To his power must yeeld submission’. Skeletons and other macabre images were associated with plague from the Black Death onwards. The most obvious message of the image and accompanying verse is that people of all walks of life, including royalty, are defenceless in the face of death. Yet the royal attributes of the skeleton also signify the great, overarching power of death. This was very significant in 1665 because the monarchy had only recently (1660) been restored in England following the Civil War and Interregnum. It may be no coincidence that Winstanley himself had royalist sympathies. By equating the monarchy with death in the plague year of 1665, when death reigned supreme, this image also underlined the power and authority of the crown. Kathleen Miller, ‘William Winstanley’s pestilential poesies in The Christians Refuge: or heavenly antidotes against the plague In this time of Generall Contagion To which is added the charitable physician (1665)’, Medical History, 55 (2011), 241–50. A. Lloyd Moote and Dorothy C. Moote, The great plague: the story of London’s most deadly year (Baltimore: Johns Hopkins University Press, 2004). I knew of Winstanley as the man who saved Christmas, but nothing more. Thank you for this.